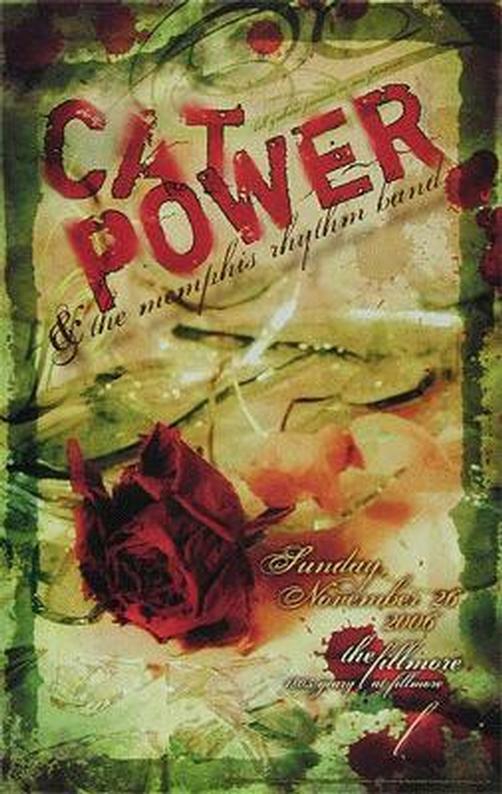 Original concert poster for Cat Power & The Memphis Rhythm Band at The Fillmore in San Francisco. 12x19 card stock. Art by Frank Wiedemann. F827.